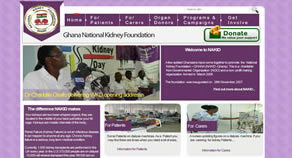 National Kidney Foundation-GhanaA charitable Non-Governmental Organization (NGO) and a non-profit making organization formed in March 2006. The foundation was inaugurated on 28th November 2007. Web based Constituent management solution developed to meet the needs of kidney/renal failure advocacy, web campaigns, online donation and management of contacts to the foundation supporters and organ donors. This is our latest project and will be lunched to the public by 30th of May 2012. Julian Legend UK LtdAn industry leader in a range of retail products from Fashion,Tea, Soft Drinks, Sweets including Traditional Sweets, Belgian Chocolate Covered Fruit and Used Vehicles Sales. An ecommerce implementation that cataloqs retail goods and used vehicles. It allows users to search, buy or save for later purchase via their account. This solution includes a back-end UK tax filing system. It uses Ubercart Commerce, Migrate and Apache to achieve. Corporate website and portal integration to allow SCL suppliers and sub-contractors collaboration- Drupal 7 was the ideal fit for this project as it allowed content editors to control every aspect of the site that they needed to, and the flexibility to meet all the requirements. Ejesa Systems Limited:An electrical/communication engineering company specialized in the supply, installation, testing and commissioning of Electrical projects, Instrumentation and Control Systems, Computer Parts and Marine Electronics. Corporate website and a backend project material procurement and management mechanism to allow for existing retail customers to track orders for their customers and to also sell oil & gas plants spare parts directly to plants mentainace consultants. Rhema approached us with a brief of requiring a website that could do three things; offer a corporate face to the business, provide a B2C mechanism to allow for existing learners to book and track progress for their driver training lessions, and to also sell lesson slots directly to prospective learners.